When we think about the best picnic spots in Odisha, then one place coming into our mind. That is “Puri”. But many people can not reach all the tourist spots in Puri. So they fail to reach all tourist spots in Puri. So here we are giving the list of the popular and famous tourist destinations in Puri, so that it will easy for you to reach all spots by prepare a brief plan for your Picnic. You can get the list of the famous Picnic Spots in Puri below. 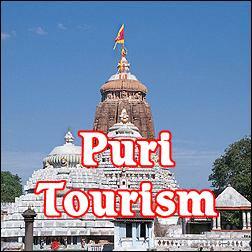 Give Responses for "Tourist Spots in Puri District"